PiNG! Connecting with your consumer at retail. Consumers experience very different stimuli in-store around the world. Our objective is to capture those complex environments and analyze them to improve brand strategies. We identify what your consumer sees when she shops—anywhere in the world. We help you optimize your brand’s PiNG! points in order to meet your growth objectives. It’s about connection – about the points of engagement that turn a shopper into your consumer. PiNG is visceral. PiNG energizes. PiNG creates a magic moment. PiNG conveys to the consumer, “I see you and I understand your life.” Above all, PiNG is a point of singularity. It’s how a great brand declares itself distinct and relevant in the consumer’s mind. A good brand may have several PiNG points. A great brand has many. 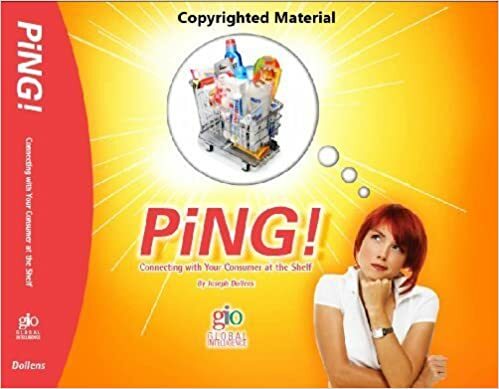 PiNG happens when the consumer approaches your brand on the shelf. PiNG is the impact of your brand architecture. It’s in the packaging. It’s created by colors, shapes, words, logos, images, textures, fragrance, and the in-store environment. It’s how products are grouped on the shelf and the message those groupings convey. It’s in the perceived qualities and benefits that the consumer assumes from your brand’s overall message. It’s even influenced by the ideas and drivers that your consumer has as she walks into the store. PiNG is all of these cues and – more importantly – what they mean to her. It’s true that cultural cues differ and consumer preferences do vary some from country to country. Yet PiNG is always about that moment when a shopper decides to become your consumer. The thought process by which a consumer arrives at a purchase decision is nearly the same whether she’s in St. Paul or Sao Paulo, Dubuque or Dubai. We all want to stand out from the crowd, but first we want to be part of the crowd. Beyond addressing functional needs, a brand’s hierarchy of benefits speaks to these conflicting desires. If a product has PiNG, it answers them. A shopper’s decision-making process may be complex, but it’s often just a few seconds long. PiNG is how you drive that process. Optimizing those PiNG! Points is what we do.